Raghav Diwan is living the American dream. A successful career, a comfortable and happy married life. One day, he receives an invitation to an evening get together with his college batch mates. He has not kept in touch with any of them and has no desires to meet them. But the past seems to be calling him. The past wants to reveal something to him. Will he open the door to let his past in. Will he let it change hi future. Will he press, rewind and play. After hitting success by launching an electronic device in the American soil, working for an American company, his life soon plummets down after a boy lodges a complaint against Raghav's company for malfunctioning of the device which caused the boy's hands to burn. Raghav's company fires him for the damage and he's broken hearted. He sends his wife and sons back to India, leaving himself alone to focus on the rebuilding of his career. But he fails to secure any jobs because of his previous failure's taint. When he receives an invitation from his college classmates to their batch reunion, he reluctantly agrees to it. 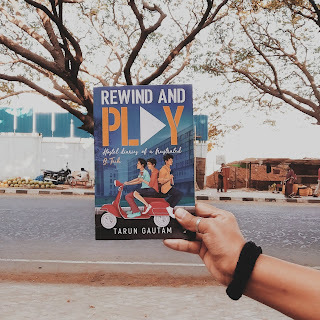 His batchmates indulges him in a game of reminiscing their college days and it is then that Raghav realizes not all is lost. I loved the concept of the book. I love how simple it is, it's a piece of fiction meant for the readers to enjoy and reminisce their own college/hostel days. At least that's what I did. 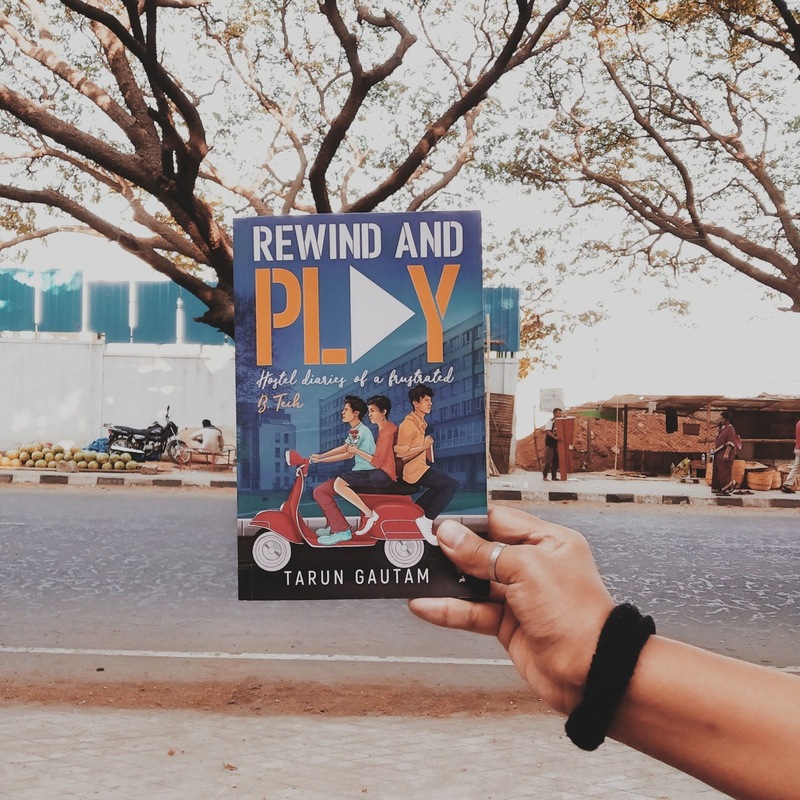 Throughout the book, Raghav and his friends went back to the days they loved, picked up the good old memories, and narrated them to the rest of the group. Like, Harpreet remembered those first day's in hostel when the seniors playfully ragged them and how Harpreet and his friends tactfully carried out the task of secretly bringing beer bottles inside the hostel campus; or when Shivam told them about how, in spite of his inferiority, he managed to get through another college's paper presentation in another city, by fighting his way through the odds; or when Nafisa narrated her story of never losing hope even when her friends left her on the eve of a competition; or when the whole group talked about how they won the fashion competition by beating their rival college. 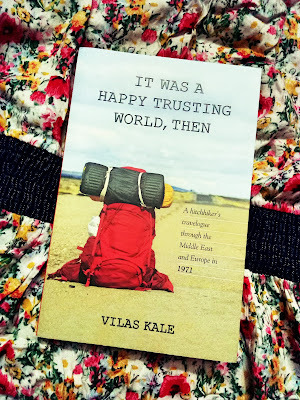 This book is a modest recollecting of memories, which makes it a pretty plain book that does not make you think much and just enjoy the ride. But I liked how, this reunion makes Raghav realize what he needed to move on with his life. Also, the little revelation towards the end of the book put a smile on my face. While reading this book, my college and hostel memories flooded my mind. I hope you'll do so too, when you read the book. The sheer honesty with which the book was written is very much reflected in the book through the author's writing style. It's as if the characters in the book were people in the author's life and he writes very fondly about them. 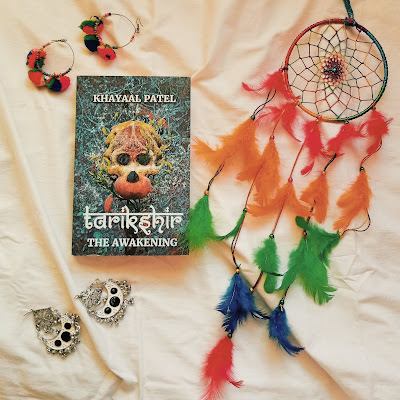 The simplicity in the narration of the book makes it a easy breezy and enjoyable read. 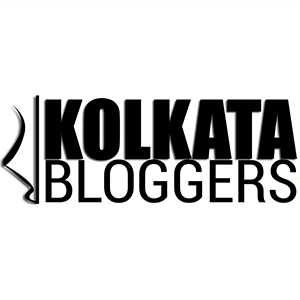 Tarun Gautam or TeeGee is a free thinker and a writer with a soul. When not penning books, he is the Regional Sales Head for a leading banking technology firm and has travelled to over 20 countries. He believes experiencing varying cultures of countries such as Latvia and South Africa have given him a unique world-view. 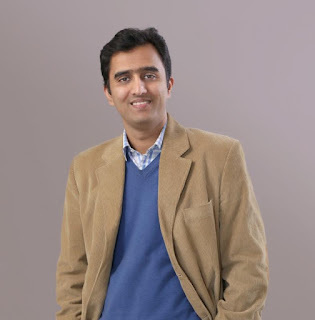 An engineer and an executive MBA from IIM Lucknow, Tarun played a key role in the formative years of two consulting start-ups. Tarun is also a keen golfer and yoga enthusiast.